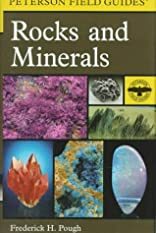 A field guide to rocks and minerals. Modern policing is a vital institution for the defense of political and civil rights, and the protection of citizens from crime and fear of crime. Private security is also playing an increasingly important role in crime prevention and order maintenance, and also in protecting government assets and services. At the same time, crime and disorder remain major problems in contemporary societies, and there are ongoing issues of integrity and competency in many police departments and in the security industry. Policing and Security in Practice: Challenges and Achievements addresses questions of 'best practice' across police and security work by focusing on what the scientific literature says about how to achieve optimal outcomes in law enforcement, crime prevention and professional standards. Each chapter is written by subject experts with many years of research experience and collaborative work with policing and security agencies. The book is a highly readable, inspiring and fully grounded guide to achieving the best in policing and security. About Frederick H. Pough (Author) : Frederick H. Pough is a published author. Some of the published credits of Frederick H. Pough include Peterson First Guide to Rocks and Minerals.